I’m afraid that my entire family is so gripped by Harry Potter frenzy that it’s quite hard to think of anything else. We started reading it together last winter and now we’re are just finishing the sixth book. If ever I have forgotten a crucial detail, I check with my 8 year old, who simply seems to remember all six books pretty much verbatim (Moon in Cancer). 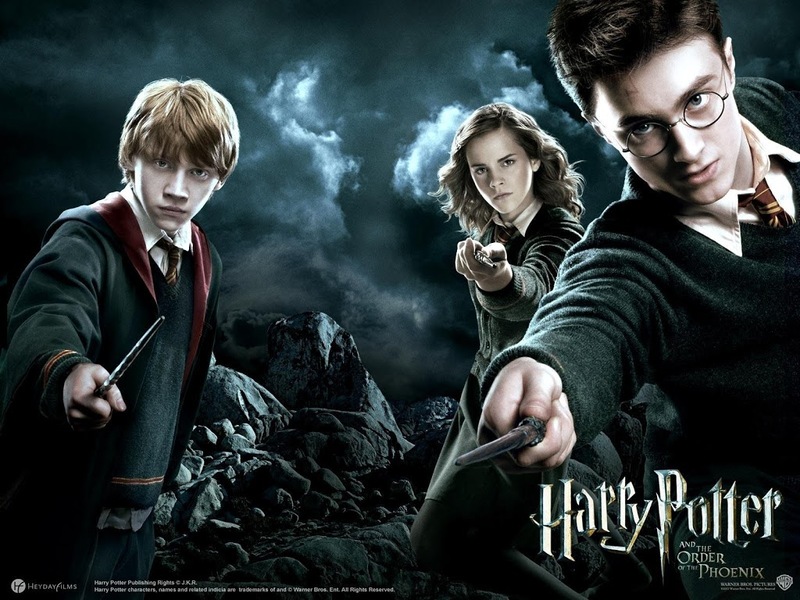 The Harry Potter series is an astrologer’s playground, of course, because of Rowling’s instinctive grasp of archetypes, psychology and the mechanics of myth. One of the central elements of the wizarding world that she describes is the division of witches and wizards into four types, as described by the four houses at the school Hogwarts. The first night the children arrive at the school, they are allocated a house, chosen by the Sorting Hat according to their character. For some children, the choice is obvious, but for others the Sorting Hat needs to think quite hard. For example, in Harry’s case, the Hat wavers between Slytherin and Gryffindor before finally plumping for the latter. The houses correspond roughly to the four suits in tarot and the four elements of the Zodiac and the four humours of Galen or Carl Jung’s personality types. The most outstanding characteristics associated with each house, however are more specific than that. They correspond uncannily to the fixed signs, which sit at the four corners of the zodiacal compass. The best of Gryffindor is the best of Leo, Harry’s own Sun sign: noble, courageous, bold, intuitive. The best of Hufflepuff is the best of Taurus. The best of Ravenclaw is Aquarius. And Slytherin, located in a dungeon, is pure Scorpio. Here’s timing – Rowling launched her new website http://www.pottermore.com today! Lord Voldemort is a Capricorn, of course, born on New Year’s eve, ruled by the master of time, Saturn! Or a daughter Christina — tut tut! I’m a huge HP fan and I live,breathe and sleep Astrology! so what a fab combination. Thank you Oxford Astrologer! you have made me realise that in fact Astrology can be applied to just about anything. Awesome! @Louisa and @Anonymous – there is so much to say about the astrology of HP. I’m working on a much longer piece. Thought you might be interested in this link, and touched that you are both reading the books with your 8 year olds! And isn’t interesting that Dharmaruci chose the same descriptions of the houses! Eight is the age for HP, although I think book 6 (The Half-Blood Prince), which we have now finished BTW, was a bit advanced for her. Still she can go back and read it again later. Loving these posts about HP and JK! my youngest cousin introduced me to His favorite book (Harry Potter!) when he was eight, 12 years ago, and of course I loved it too. Years later I took him to watch the first movie. @Sabrina – I think of those kids as the Harry Potter generation! You’re writing a longer piece? – bring it to the Group! Interesting to re-read this. I watched the Deathly Hallows film again last night. The Tolkien influence is distinct but still nonetheless I am still so struck by her stories; the breadth and depth. The journey into despair; it’s pretty huge stuff; heartbreaking. I was reflecting that JK’s generation don’t get much credit for doing anything much to influence the world culture or create social change. But here is an influence that’s very obvious in one way- we all know about it – but also seems to me to speak of the style of that virgo/pisces polarity of her generation, which is a modest style. And she is a modest writer (who has given away her fortune) who writes for children; the effect of her speaking those cultural archetypes has influenced a whole generation. Taught something very powerful I think. I really like what you’ve said here – and pointed out about her generation and its modesty. And to take that further — Virgo is a Mercury-ruled sign, a writer’s sign. Although i would normally agree with these correlations, i myself am a Scorpio yet i was sorted into hufflepuff even weirder is my Myer Briggs is INFJ. Go figgure XD. None of these personality indicators match up, any guesses on how i got to be this way? Where are the rest of your planets and what is your Rising sign?